2017 In A Sentence: After a 31-14 loss to Central Connecticut State in mid-October, the Bulldogs’ season seemed lost – but a four-game winning streak at the end of the year put James Perry‘s Bulldogs at 6-5 to finish over .500. Biggest Shoes to Fill: A former lacrosse player, WR Tom Kennedy had an explosive senior season with 57 catches, 888 yards and 9 TDs as a part of Perry’s fast-paced offense. Though he only played one season, he was a huge part of the offense. 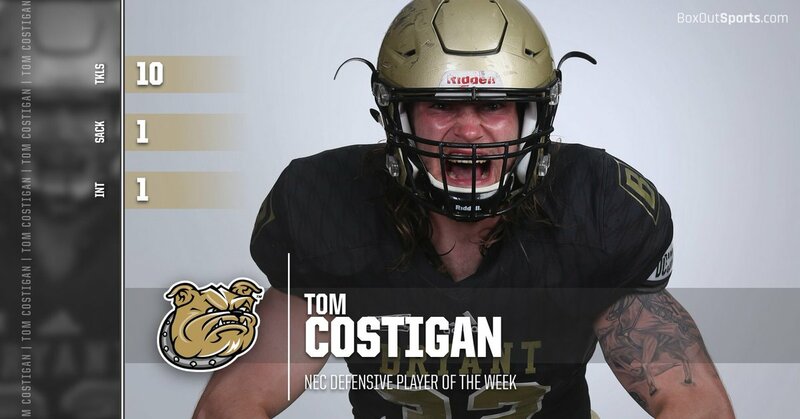 Key Player: Though Bryant’s calling card is a fast-paced offense, Bryant’s best player last year was 6’3, 230 lb LB Tom Costigan, last season’s NEC Defensive Player of the Year. With 103 tackles, 63 of them solo tackles to go with 11 1/2 sacks, this team captain will be looking to end his collegiate career with a flourish – and to open the eyes of NFL scouts. 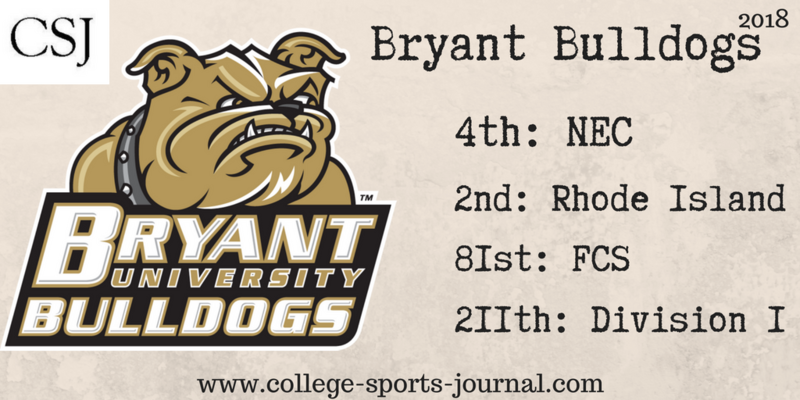 Fearless Prediction: Bryant is unquestionably in the mix for the NEC title this year – if they can beat Duquesne and Central Connecticut State in back-to-back weeks in early October. If they do, they’ll be in the driver’s seat for the title. If they don’t, another solid oh-so-close season might be in the offing.